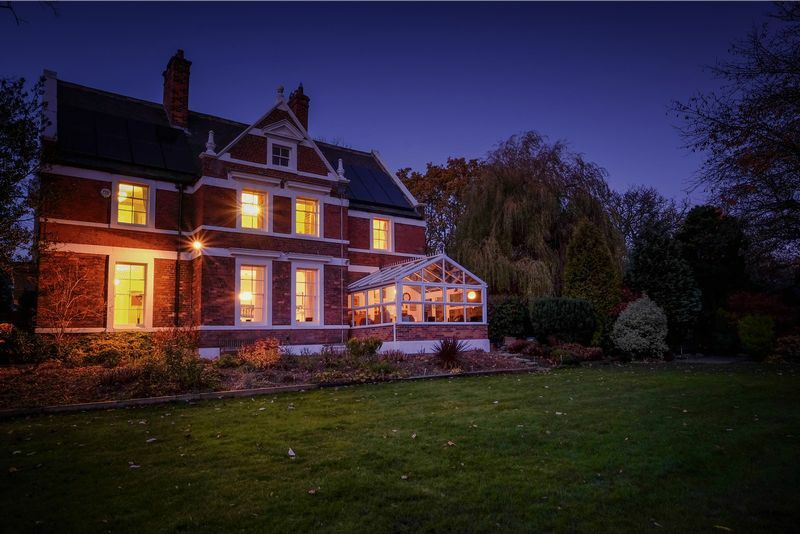 Property Rung are delighted to introduce to the Market for Sale this quintessential 5/6 bedroom Victorian Vicarage, dating back to circa 1888. 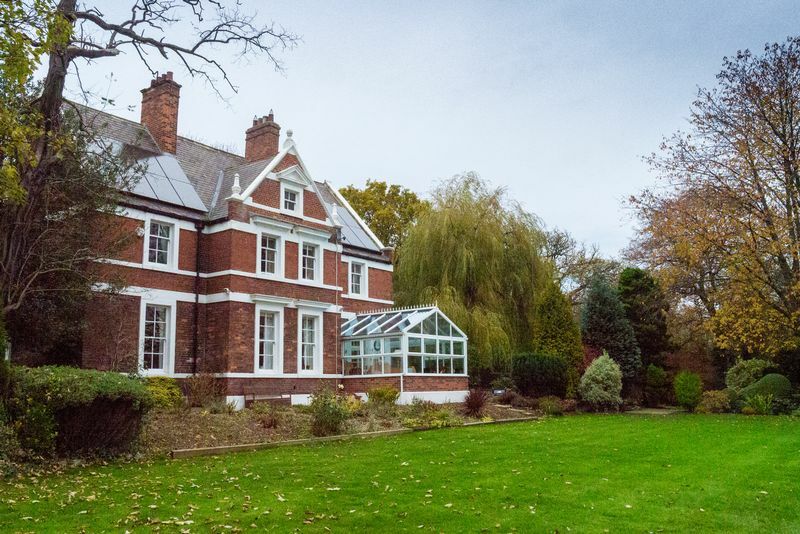 Set within c2.7 acres it is a beautiful example of Victorian architecture exuding class and elegance. Formerly the home of the Local Vicar’s of Sugley Church. Clement Adolphos Fox was the first Vicar and a brass memorial of his appointment is still present at the Vicarage. Now owned by a Local Doctor who purchased the property some 30 years ago, making this a rare opportunity to own such a hidden gem. 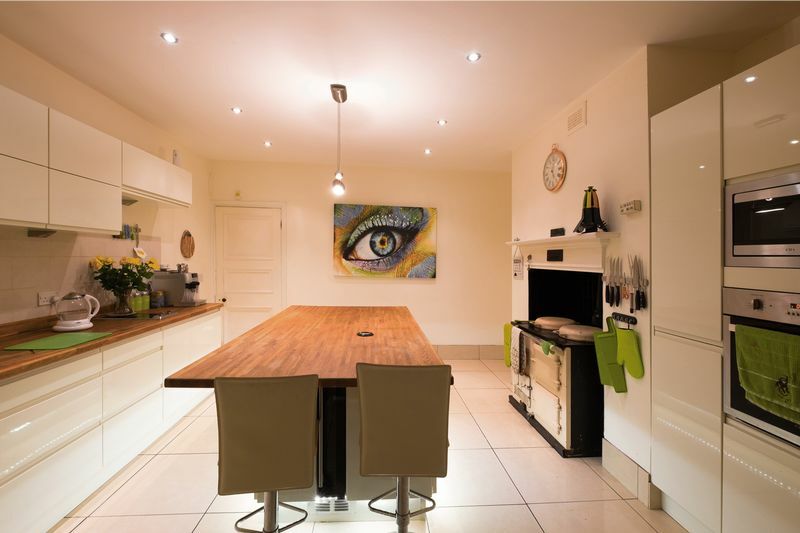 The property has been comprehensively and tastefully refurbished to create a very appealing 5/6 bedroom family home. 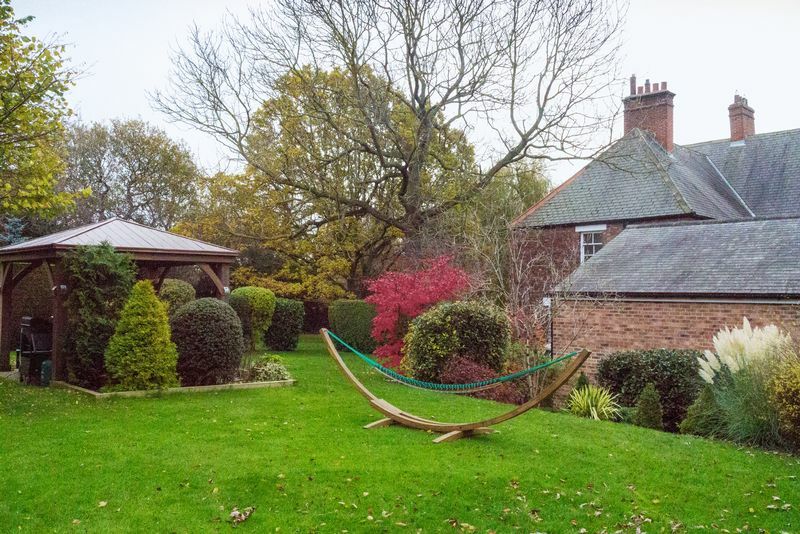 This period property offers peace and tranquillity with numerous walks and cycle routes, including Hadrian’s Way at the bottom of the garden. 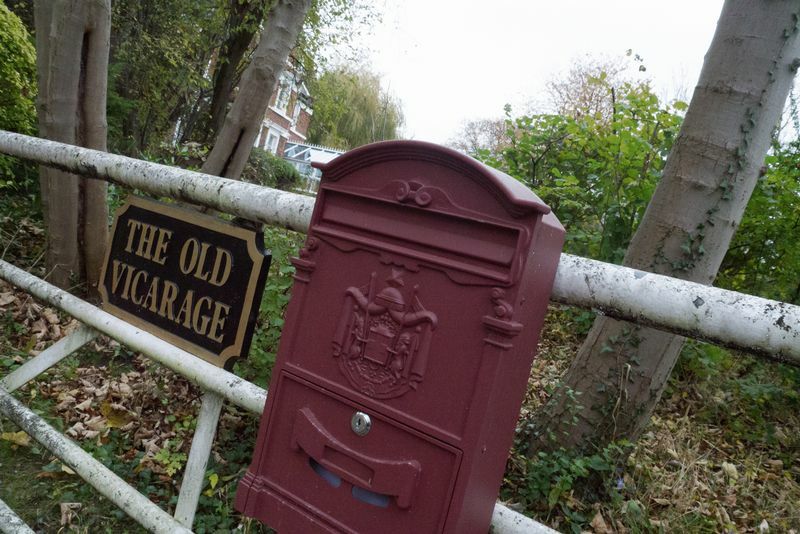 The Vicarage has retained many of its original features including fireplaces, servant bells, cornicing and mouldings. The current owners have incorporated modern day living without compromising on the history of this architectural masterpiece. The property benefits from having a sunny aspect on a quiet country lane, in a charming position overlooking Sugley Dene, a semi-natural ancient woodland, a site of nature conservation and a local nature reserve. 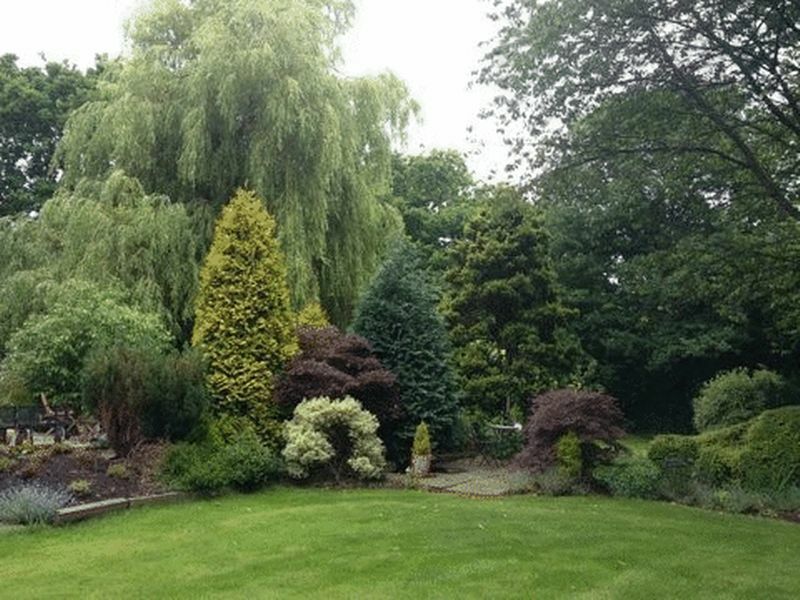 The surrounding gardens and woodland really allow you all the luxury of privacy with the convenience of local road links including the A1 and A69 within easy reach. Only a few minutes’ drive are both Newcastle City Centre and Gateshead Metro Centre, offering an array of shops and restaurants. Through the double front door we are led in to the vestibule, with original tiled flooring underfoot. A panelled glass door ahead leads into the Hallway and a door to the left provides convenient access to downstairs WC and Washroom. 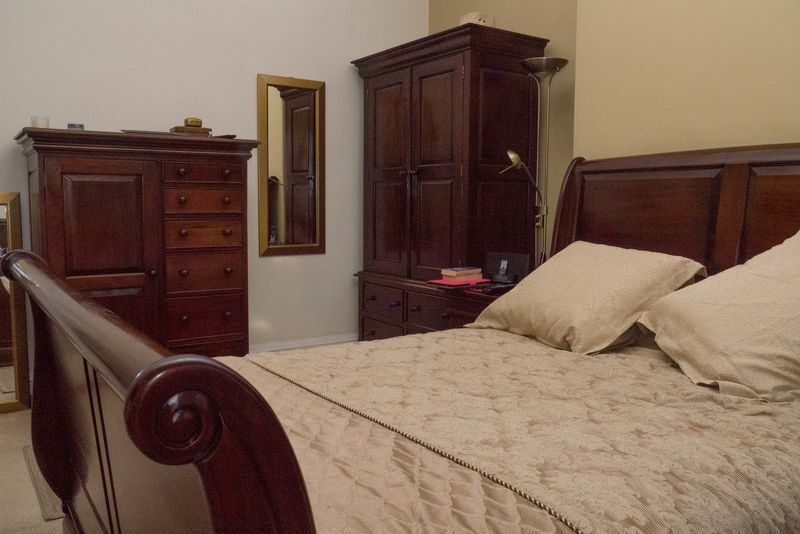 Conveniently situated with access via the Vestibule, the downstairs cloakroom is separated into two spaces. The first room provides access to a hand basin and a door to the right leads in to the WC. 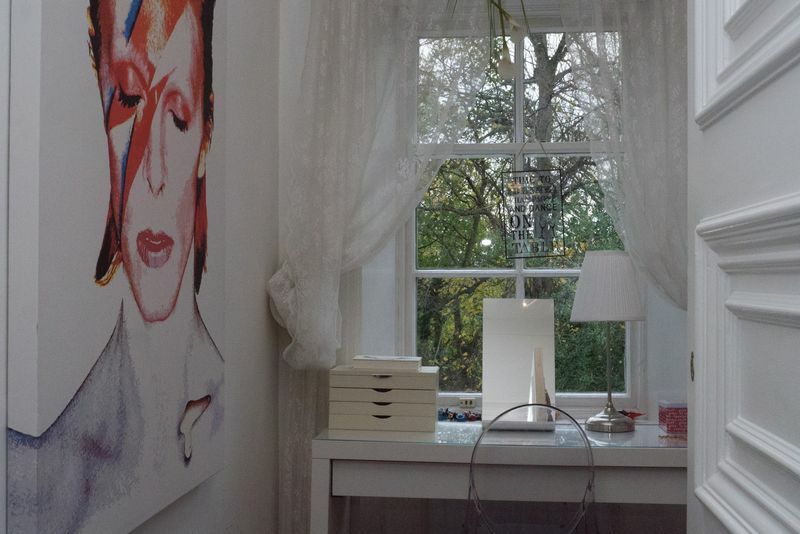 Both rooms feature original sash windows and tiled floor underfoot. Through the Vestibule, you enter through a glass door in to the immaculately presented Hallway. 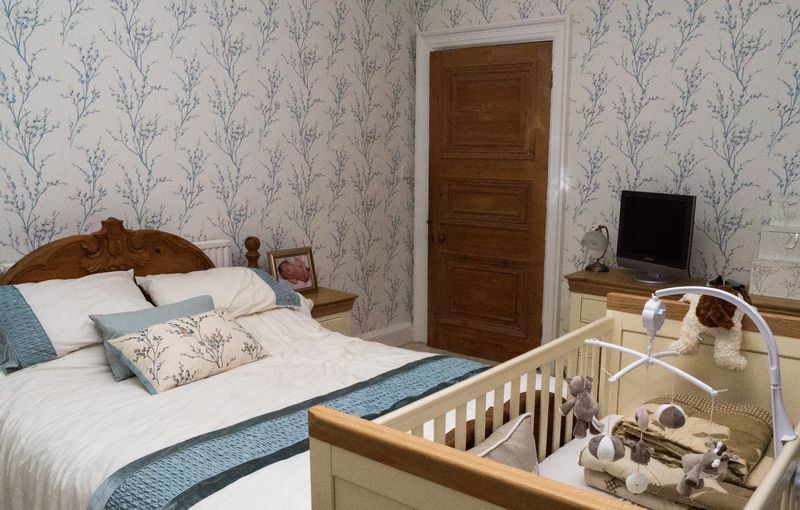 Instantly, this room sets the tone for the rest of the property with its period features and high ceiling, Barker & Stonehouse Solid Oak flooring paves the way leading you to the ground floor accommodation. 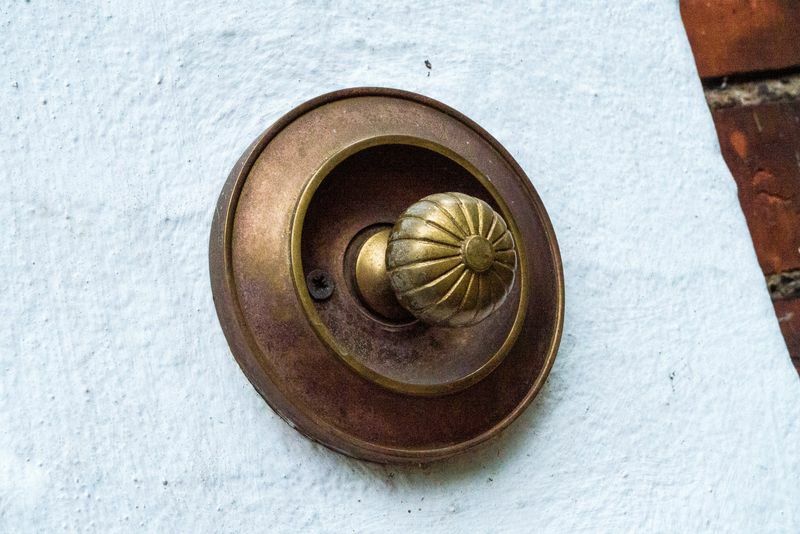 A beautifully presented open spindle staircase is situated to the left and to the right is the original butler doorbell, still in use today. 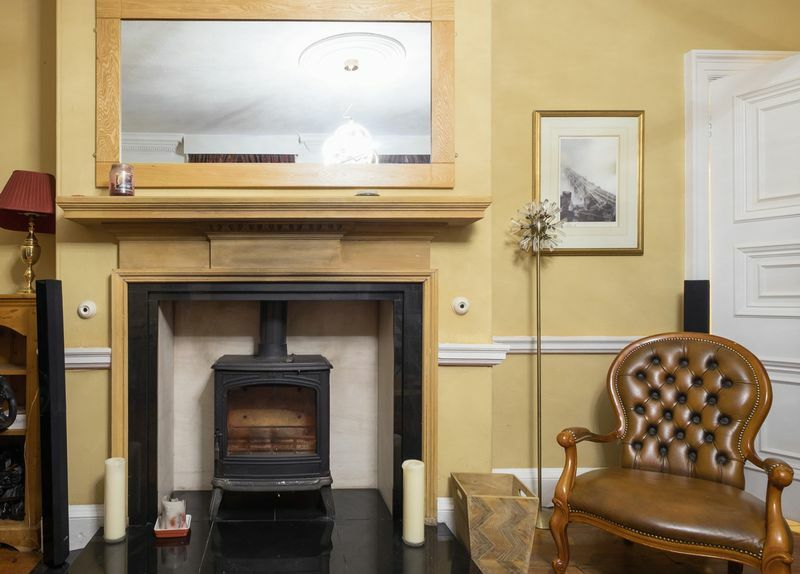 To the right of the Hallway we find ourselves in the Study, with its original sash windows looking out to side elevation and beautiful period fire surround with inset marble and log effect electric fire. The room also features Barker & Stonehouse Solid Oak flooring, Storage Cupboard and a double radiator. Currently used as a formal Lounge, this room is situated to the right of the Hallway. Two original Sash windows look out to side elevation to take in the view of the magnificent grounds. Inside the room the view is just as breathtaking with its high ceiling, original cornice and picture rail, dado rail and fire surround with log burning stove. 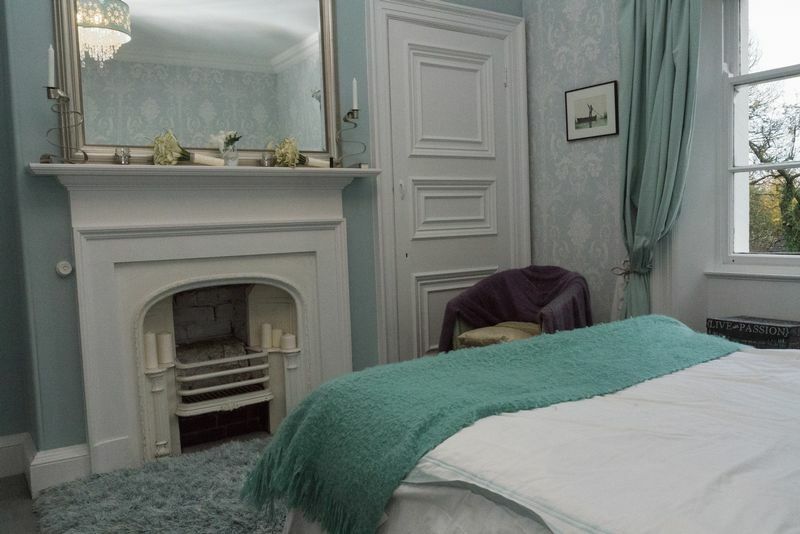 The room features carpet underfoot and a double radiator. Situated at the end of the Hallway, the Lounge looks out to the rear elevation. 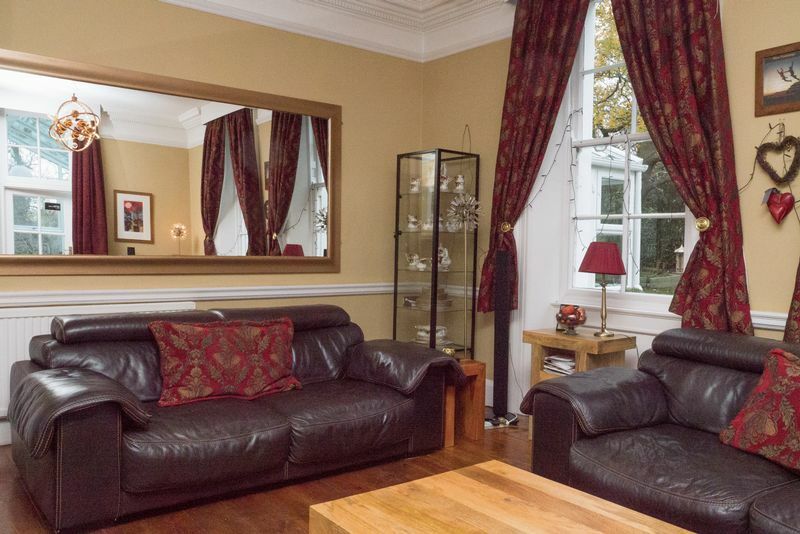 Currently a family room, it features two original sash windows. A breathtaking stone and marble fireplace with Log Burning Stove is the focal point of the room. 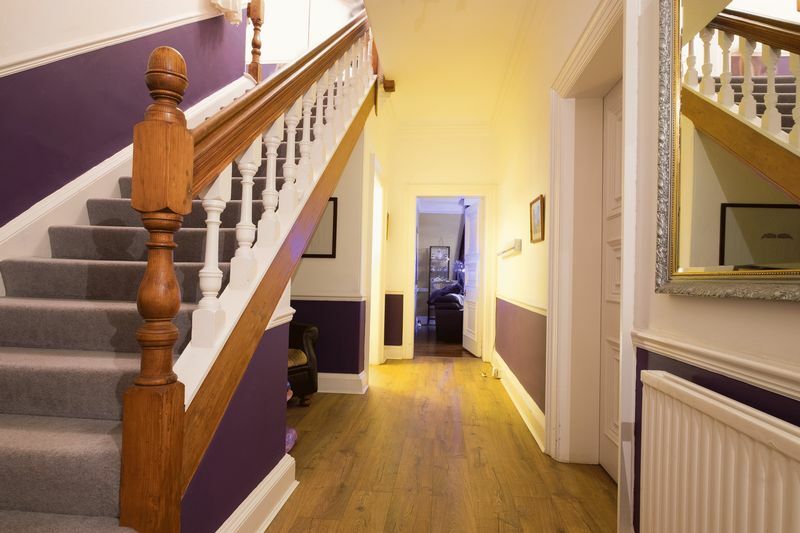 Underfoot is the original Victorian pitch pine floor, other original features of the room include cornice and dado rail. 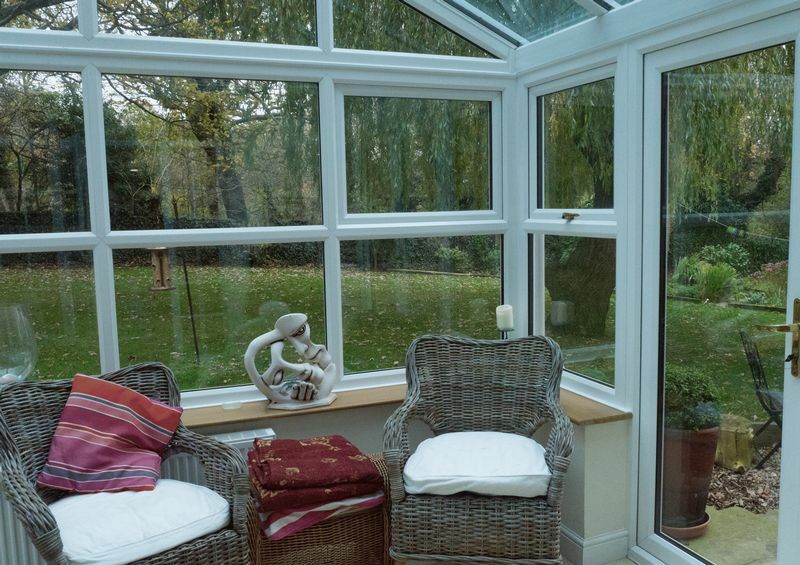 A glass panelled door to the right leads into one of two conservatories. The Conservatory is a new edition and provides a beautiful space to enjoy the outside from within. Overlooking the side elevation of the property and grounds. It benefits from tiled flooring underfoot and double glazed patio doors which lead out into the garden. This Small Hall/Access room leads into the Kitchen and Wet room with solid oak flooring underfoot. The refitted Kitchen, provides modern day living whilst capturing the feel of a Victorian Kitchen. A range of high gloss wall and base units can be found to the right with solid oak work surface, inset sink and two ring induction hob. The solid oak central island provides access to further units with integrated wine cooler, fridge and under unit lighting. Other integrated appliances include a dishwasher. 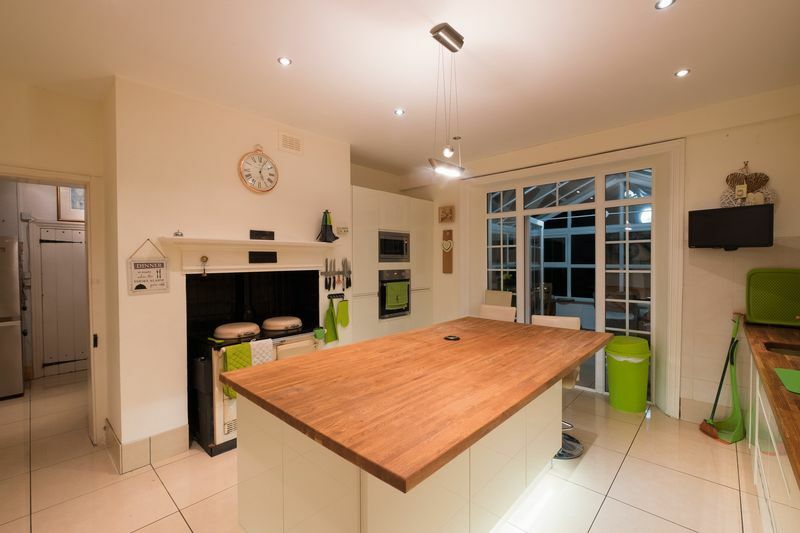 To the left stands the heart of the kitchen, the cream cast iron, gas fuelled, AGA with dual hot plates inset into the beautiful traditional fireplace. 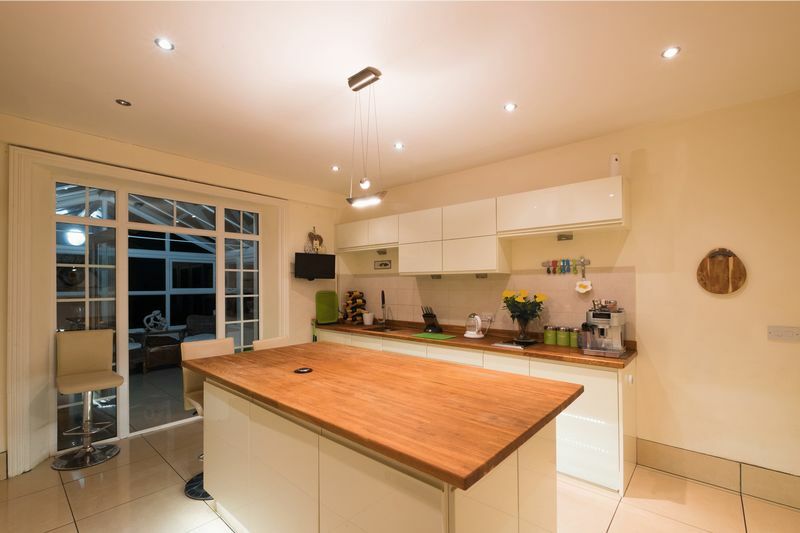 To the right of the AGA are integrated electric oven and microwave set in to a high gloss unit, in keeping with the rest of the kitchen and providing convenience for everyday cooking. The Kitchen leads to the second conservatory and Utility Area. Ceramic tiled floor underfoot. 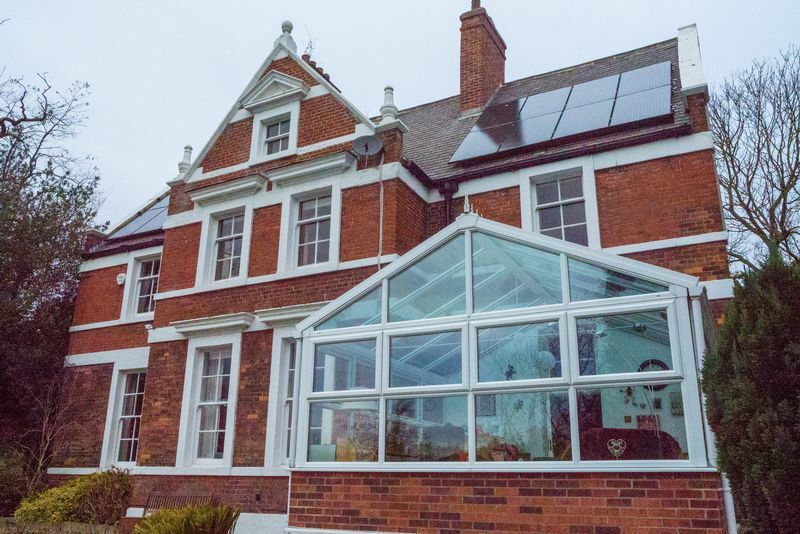 The second conservatory, another new edition to the property, is situated to the rear of the property and benefits as an extension to the already large Kitchen area with ceramic tiling underfoot. Double glazed patio doors to the right lead into the grounds. 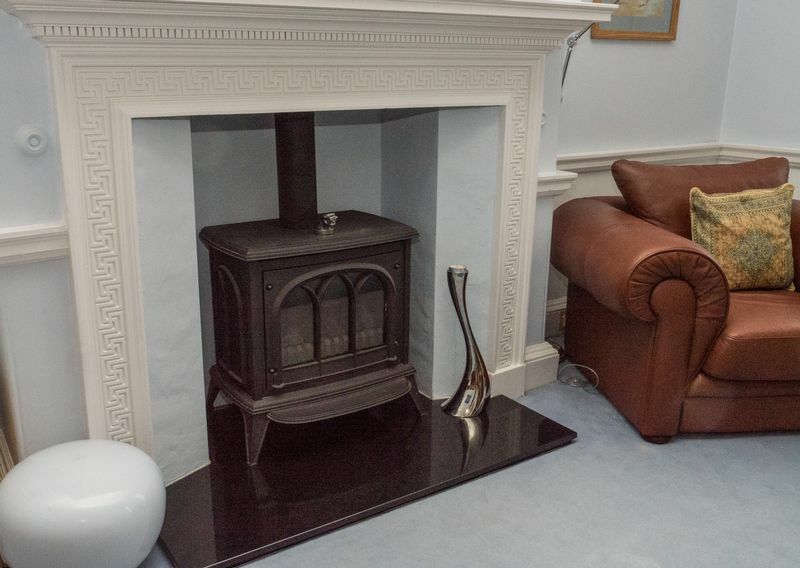 Featuring a traditional fire surround to the right, to the left is a work surface with room to house a tumble dryer and washing machine beneath. Above the work surface sits a traditional sash window which looks out to the large private courtyard, home to the Coal and Potting Sheds. Access to the Courtyard is via a back door to the right of the window. Within the Utility Area are three large pantries. Each pantry features original Victorian wall tiles, a Sash Window and tiled floor underfoot. The Wet Room is a new edition to the property with underfloor heating and Triton electric shower. The room features a white high gloss vanity unit with inset wash hand basin, with tall boy storage either side. 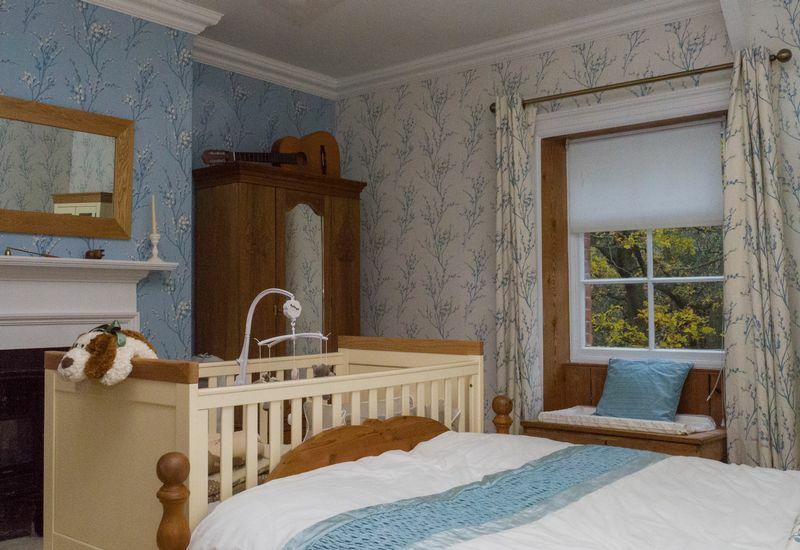 Two Sash windows to the left of the room provide light whilst reminding us that the property is steeped in character. 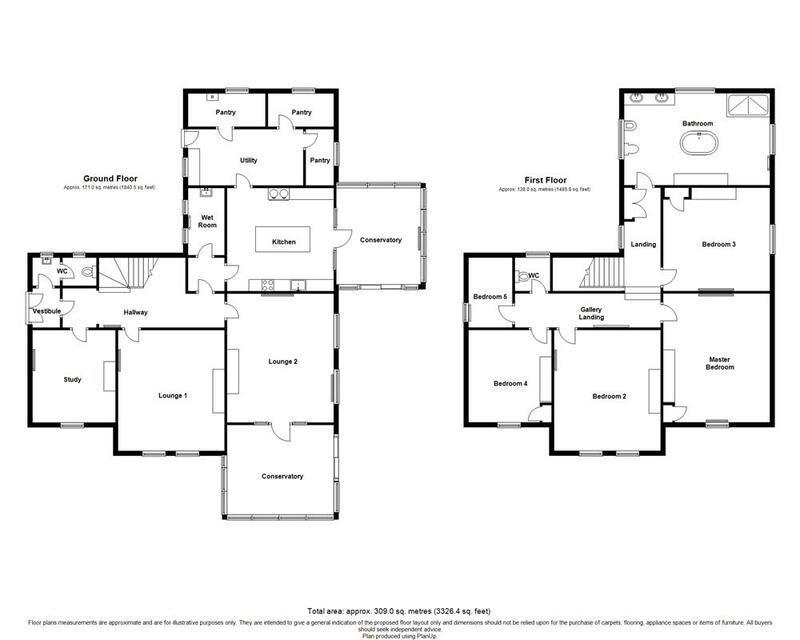 First Floor Landing leading to Master Bedroom, 4 Further Bedrooms, Family Bathroom and First Floor WC. 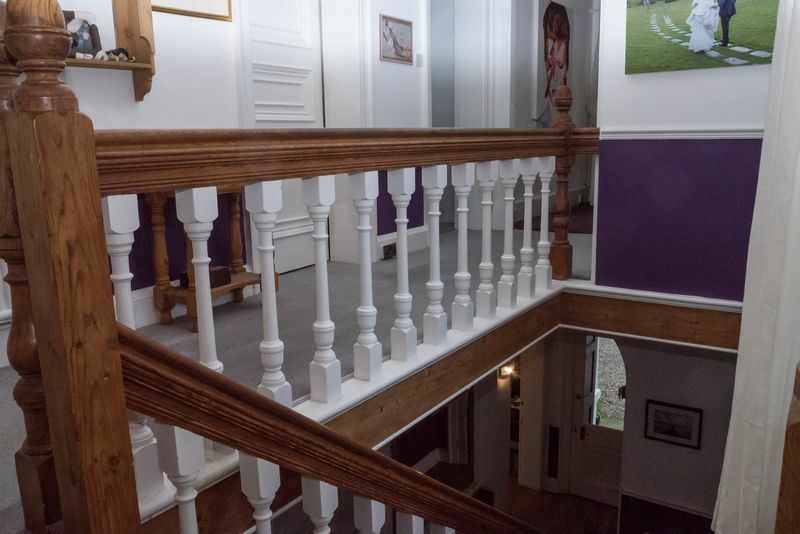 The Landing features an open spindle banister and double radiator. The Master Bedroom once again combines the old with the new. 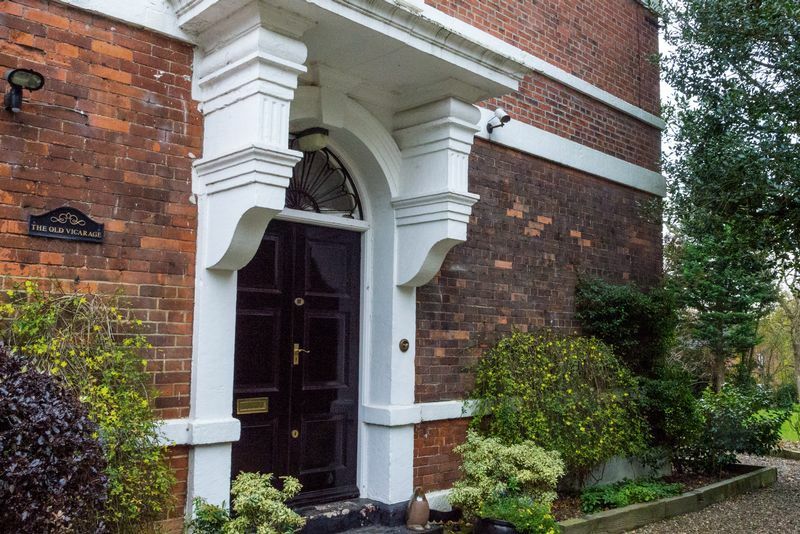 The high ceiling and traditional cornice, met with the Sash window overlooking the side elevation, reminds you that this is a period property. 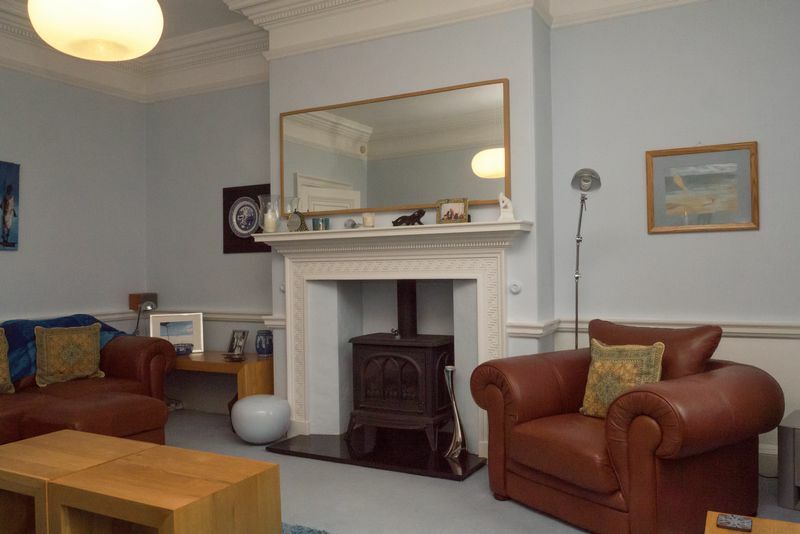 The Victorian fireplace to the right keeps the character of the room, while an electric flame fire provides the convenience of modern living. 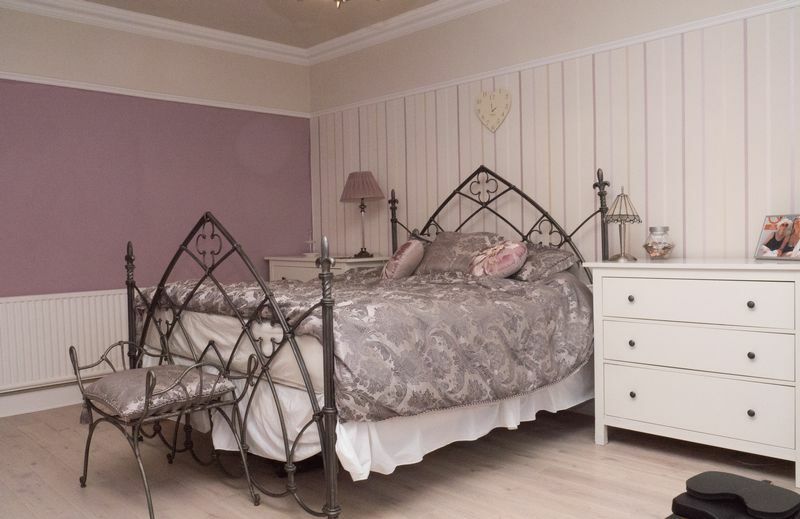 The room has been tastefully decorated by its current owners and provides an inviting place to retreat to at the end of the day, the room also features white wooden flooring underfoot and a double radiator. 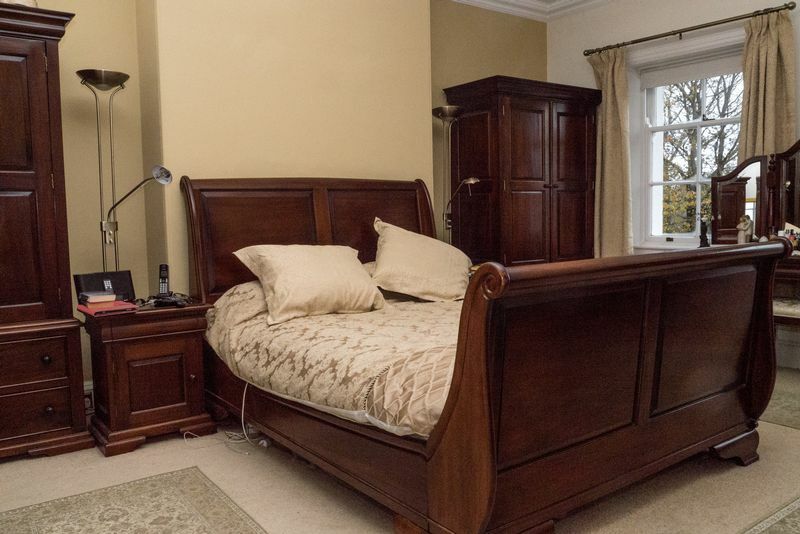 In keeping with the rest of the property Bedroom 2 features a fire breast, high ceilings and cornice, with two Sash windows which overlook the side elevation, allowing you to take in the beautiful grounds. Other features include a double radiator and carpet underfoot. Immaculately presented, Bedroom 3 again benefits from high ceilings and cornice, a fire breast with built in storage cupboard and traditional white fire surround. 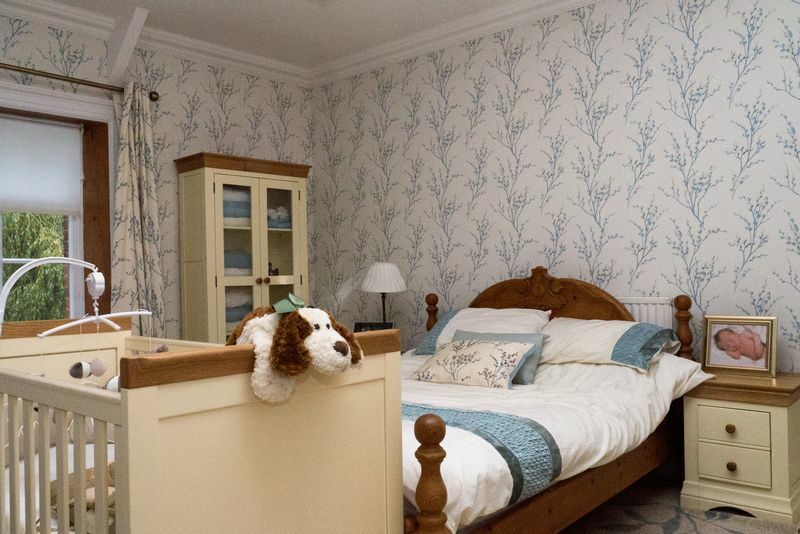 The room is tastefully decorated with Laura Ashley wall covering and a blue carpet underfoot compliments the decor. A Sash window looks out to the rear elevation, other features include a double radiator. 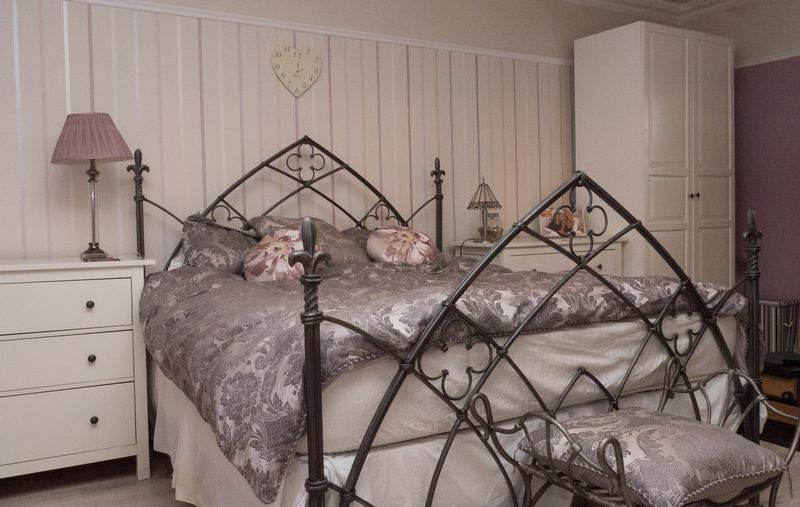 Bedroom 4 is another Laura Ashley inspired design with complimentary carpet underfoot. The room once again oozes character with its high ceiling, cornice and fire breast. 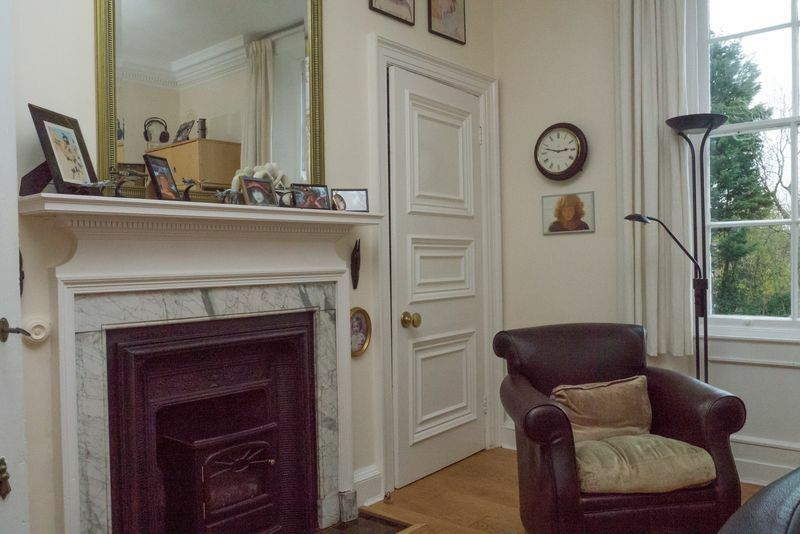 This room features a traditional fire surround with open fire and storage cupboard. 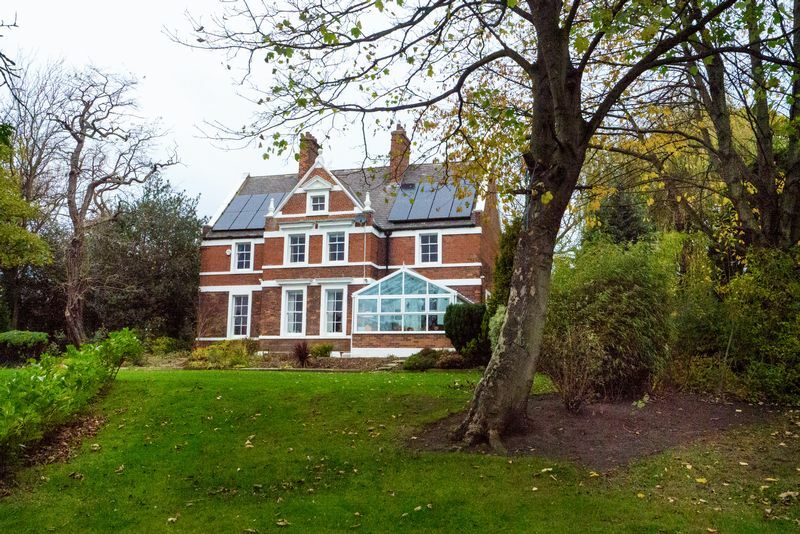 A Sash window looks out to side elevation capturing the breathtaking grounds. 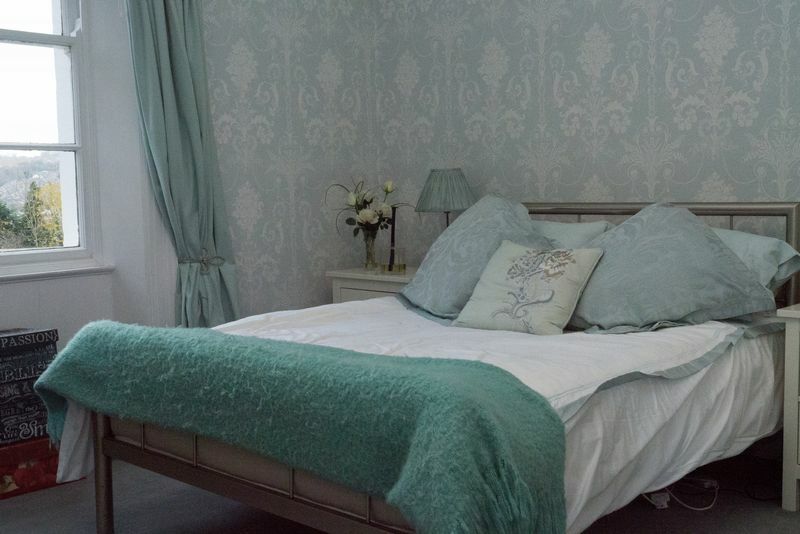 Bedroom 5 is currently used as a dressing room and is situated to the front of the property. 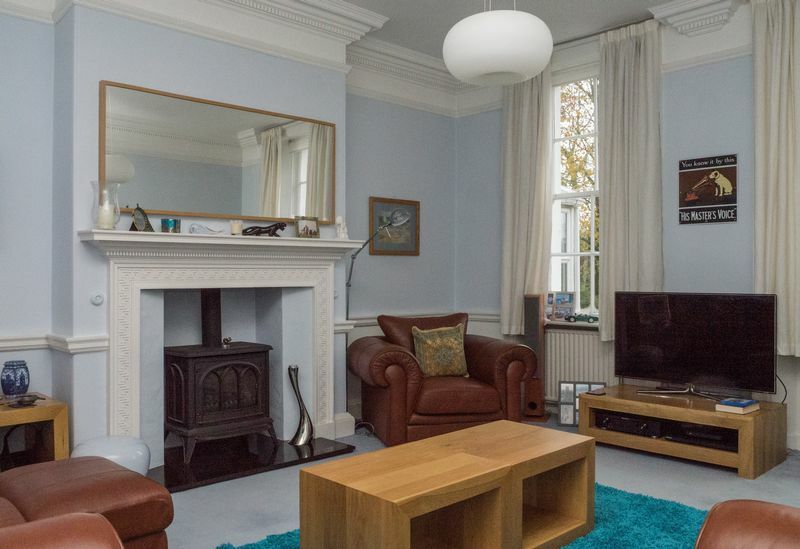 As before it features high ceilings and cornice and benefits from a Sash window looking to front elevation, other features include a double radiator and carpet underfoot. A tranquil and serene masterpiece, the current owners have taken such care with the design, which is evident once you are in this awe inspiring room. 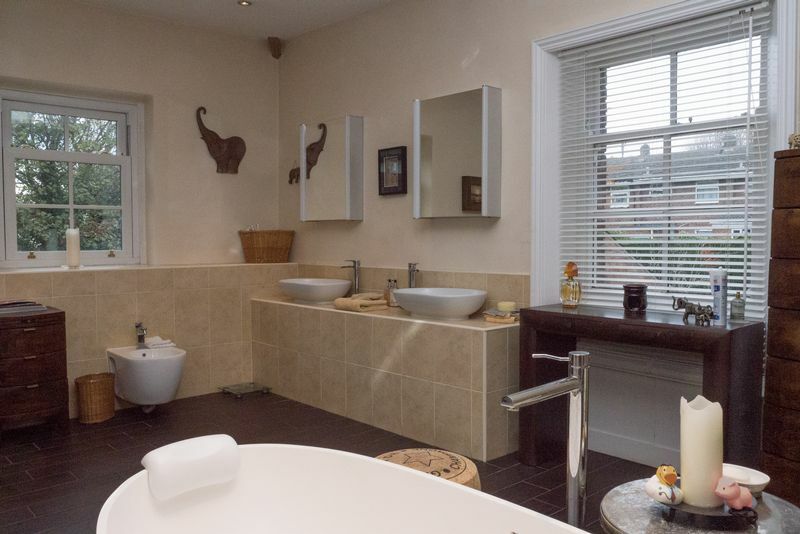 To the left of the room is a low level WC and Bidet, ahead is a tiled double vanity unit with two counter top sinks each featuring its own mirror above. In the far corner of this extensive room is a tiled walk- in shower with glass screen. 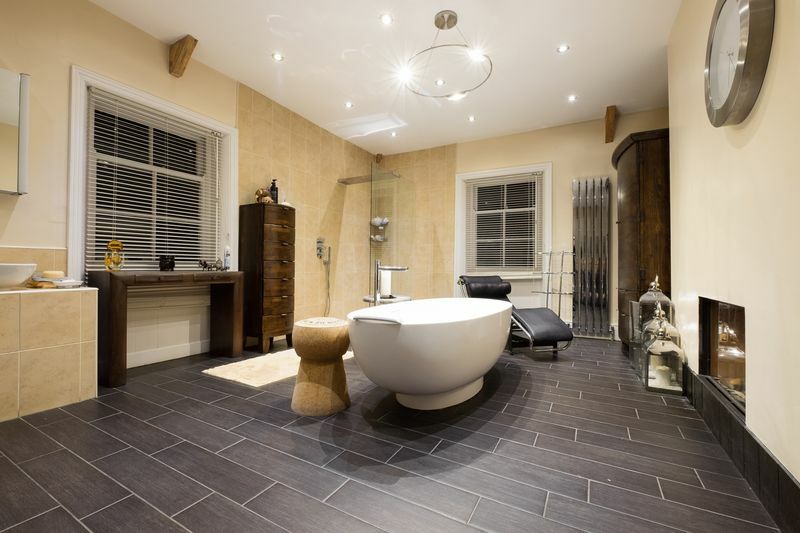 The focal point of the room is the double ended free standing bath, with stainless steel mixer tap. 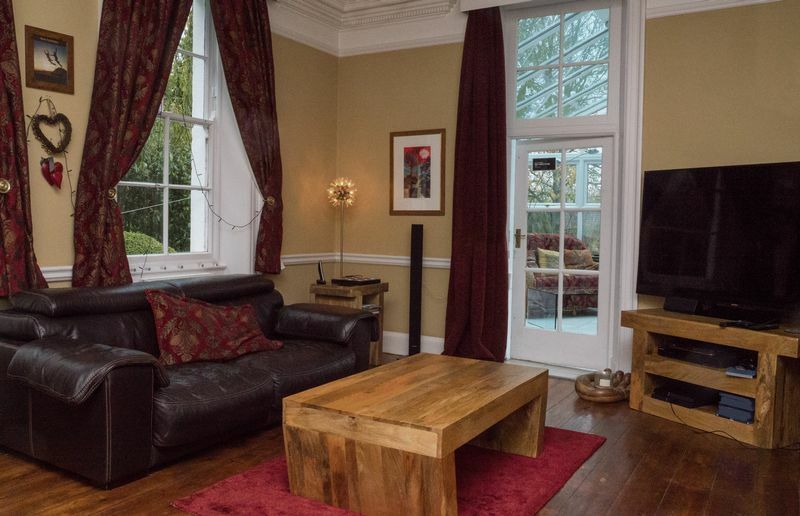 Situated in front of a beautiful gas log fire. The room is quite simply breathtaking with something to admire at every turn. 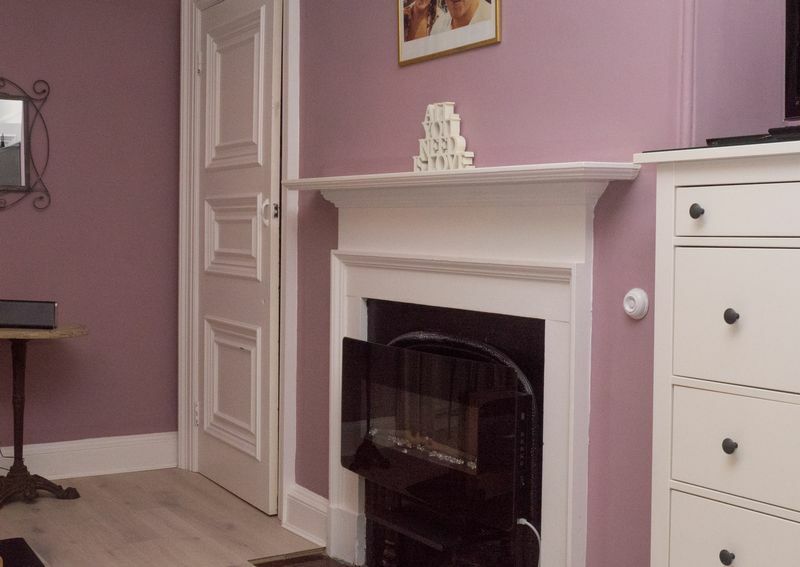 The room benefits from a chrome wall mounted radiator and tiled wood effect flooring underfoot, providing practicality whilst keeping with the traditions of the property. Three Sash windows look out to the Front, Side and Rear elevation. 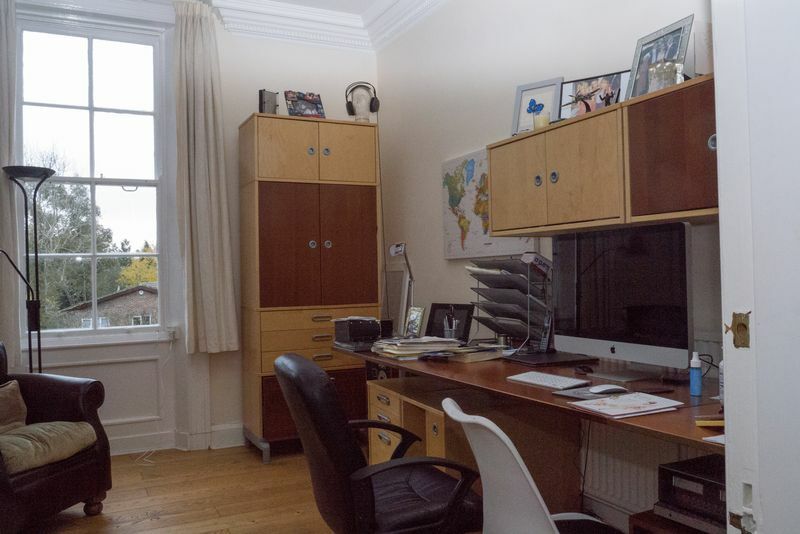 Conveniently situated on the first floor landing, featuring a low level WC with Sash window to side elevation. The loft is extensive in size and would be an amazing conversion project with original Victorian windows already in place. 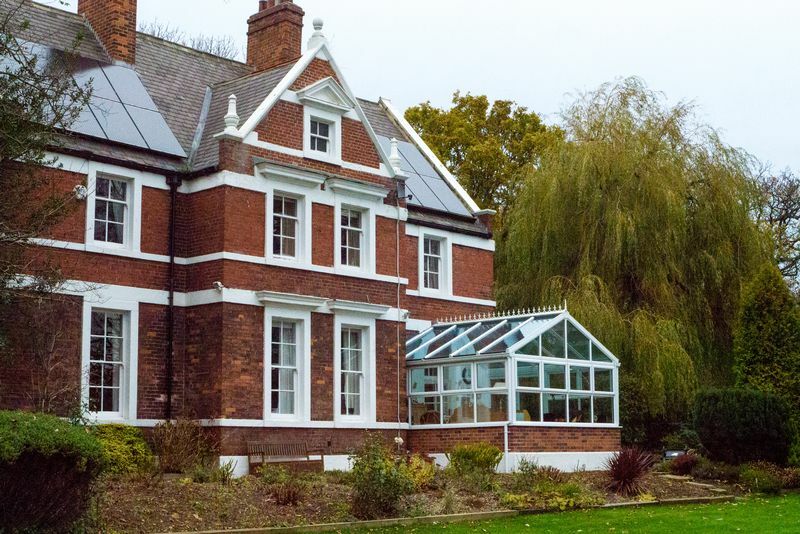 To aid in the energy efficiency of the Victorian house, the owners have recently installed specialist insulation together with solar panels to the roof. The loft currently houses a battery that the current owners have purchased, which stores their daytime energy allowing them to be self sufficient. 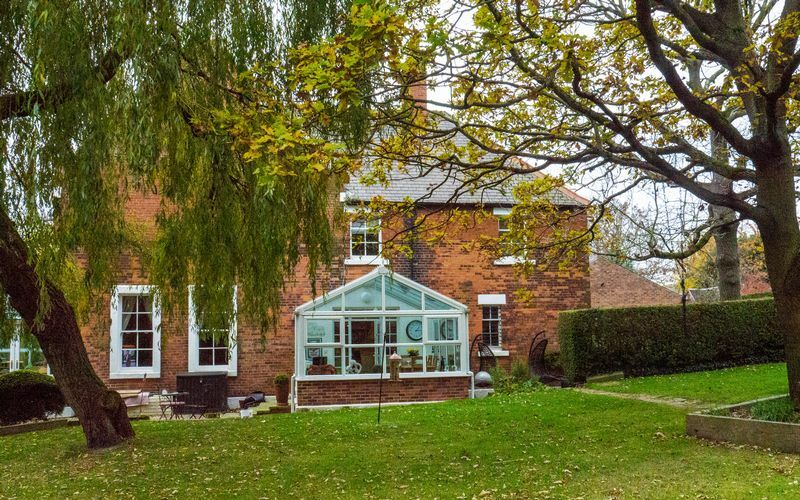 The Property is set within 2.7 Acres where beautifully landscaped and well maintained gardens encompass the Old Victorian Vicarage. Each aspect of the property offers a functional space to entertain and relax. 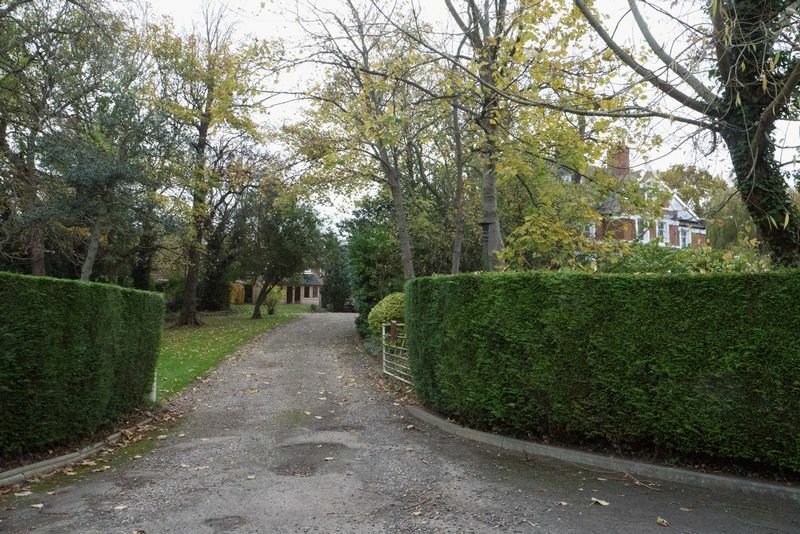 The gravelled drive approach to the front of the property offers adequate parking for a number of vehicles. 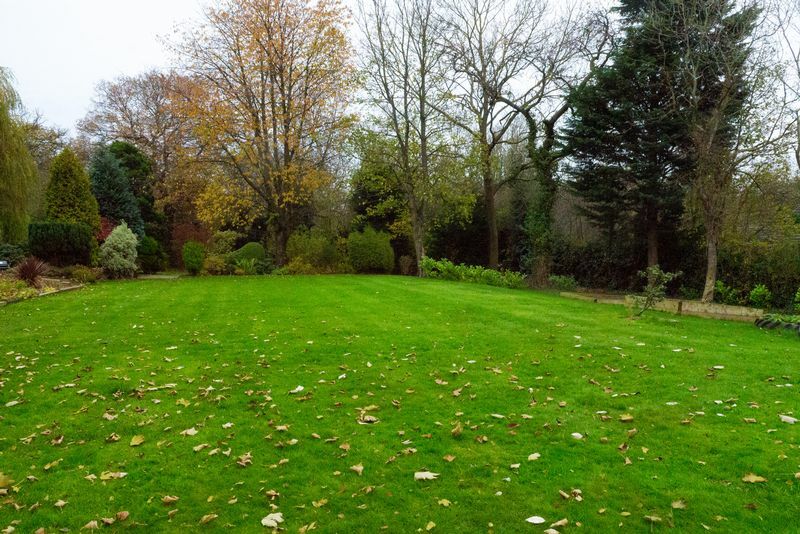 The grounds to the right are overlooked by the imposing Property in all its Grandeur, the lawned area is frequented by the current owners where they enjoy family picnics. It is also home to vegetable patches and patio area. Continuing round the rear of the property is a mini woodland walk with the Dene running to the right, part of which is owned by The Old Vicarage. A patio area with BBQ and canopy is situated to the rear of the property ideal for entertaining. A Summer House occupies a plot to the rear with a further hedged area large enough to build upon with planning permission. We are then led back to the gravelled driveway. A central private courtyard sits in the middle of the property with coal shed and potting shed providing access to the extra width Double Garage, 7 metres square with remote controlled electric door, providing ample parking for numerous vehicles.